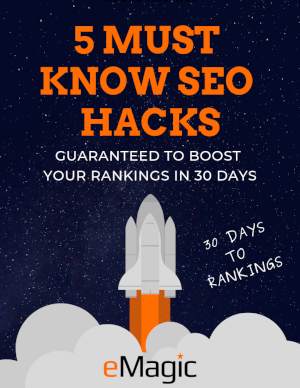 You’ve put a ton of effort and money into creating a good looking, easy-to-use website with all the bells and whistles, but you still aren’t generating the traffic or results you want because no one can find your site. The truth is no matter how good your website is, if no one sees it then it might as well not exist. But before you throw in the towel or ask your website designer for a refund you need to figure out exactly why your site is not performing and what needs to be done to fix it. An SEO audit will show you how well your website is currently optimised within the search engines. It reveals any problems that are impacting your search engine rankings, and includes comprehensive recommendations and fixes to ensure your website is properly optimised to deliver you maximum results. What Does Our SEO Audit Include? Our SEO audits are extremely specific and thorough. We consider both on page and off page elements, your competition and address any potential issues as well as providing you with detailed recommendations to implement. It’s a competitive world out there, and competition usually only grows fiercer. Over eighty percent of all web traffic comes through major search engines like Google. Users will rarely click past the first page results, so if you’re not at least on the first page, your business is losing customers to your competition. If you want those customers, you’ll have to make sure your website can easily be found. An SEO audit is the best place to start and provides the analysis and recommendations you need to improve your search engine rankings and maximise your web visibility. Be found by more customers now.